Black Truffle Festival in Norcia! Home of S. Benedict, patriarch of Western monasticism, Norcia is the capital of Valnerina, a land of mysticism from which the spiritual adventures of the Saint began. 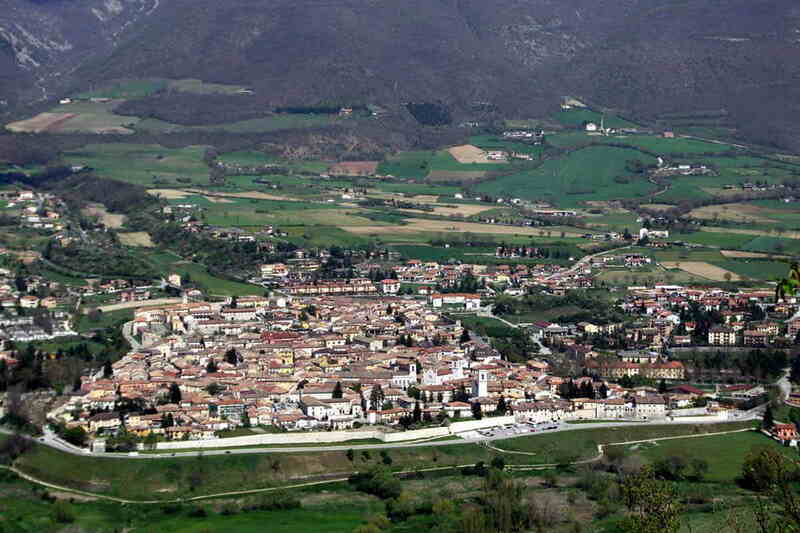 The town is considered a wine and food capital of the region for the “norcino”, a term indicating the working of pork meat from which the Prosciutto di Norcia IGP is obtained. 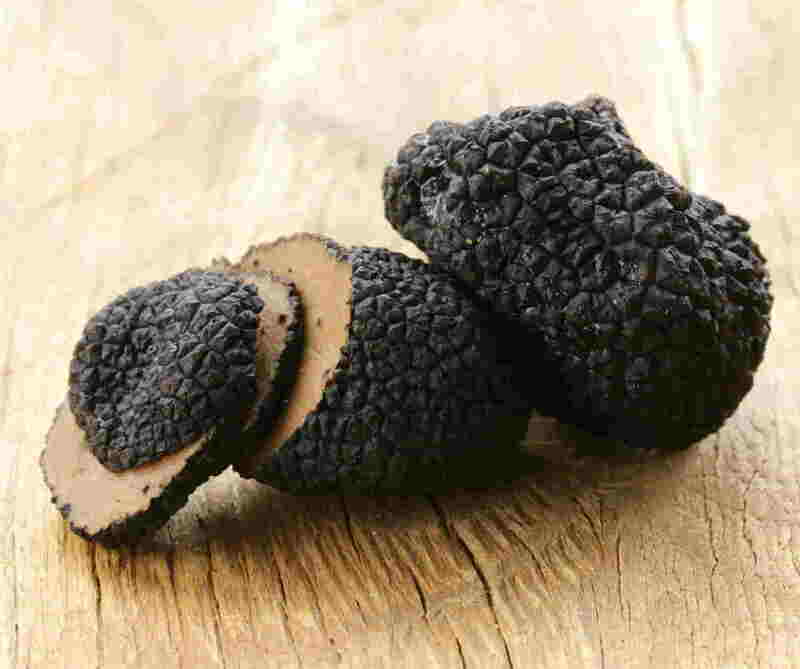 In the last weekend of February every year there is the National Exhibition of Black Truffle of Norcia and typical products of Valnerina. This event has grown to international status in recent years and is of top interest to lovers of prosciutto, salame, capocollo, ricotta, fresh and seasoned cheeses and, naturally, the famous Norcia Black Truffle, as well as a host of other local specialties. Representatives from China, Hungary, Poland and Russia as well as countries from the European Union also display their wares. The entire event takes place in the open air, in the Piazza San Benedetto. Photos, Videos and more information in the page ” Nero di Norcia“. Another fertile land for truffle in Umbria is the Upper Tiber Valley where the Bianconi’s family runs the gathering, processing, and selling their highly-prized black and white truffles and other woodland products since 1990. Morning. Hands-on cooking lesson starts around 10:00 am. You will prepare a four course lunch. For lunch you will eat your creations accompanied by our wines. Afternoon. It is a wine tour in winery that produces Sagrantino di Montefalco DOCGS. You will have a guided tour of the vineyard, cellars finishing up with a test of local Umbrian specialties and the wines. You will also visit the medieval cities of Bevagna and Montefalco. Afternoon. Your guide will drive you in the Educational itineraries on the Truffle track, they are fascinating and unique experiences to discover the mysterious world of the Truffle. The guided visit is run by experts, who will take you through the entire itinerary from the digging up of the Truffle to its processing and use in cooking, teaching you how to distinguish and taste its different varieties. It includes: Demonstration of Truffle hunting with dog, Tour of the farm and visit of the small museum, Tasting of cooked dishes and local wine tasting. Afternoon. In the afternoon you will have a guided visit of Norcia and its beautiful monuments: the Duomo, the beautiful central square and the Castellina, home of the Civic-Diocesan Museum with works of painting and sculpture from the territory of Valnerina. 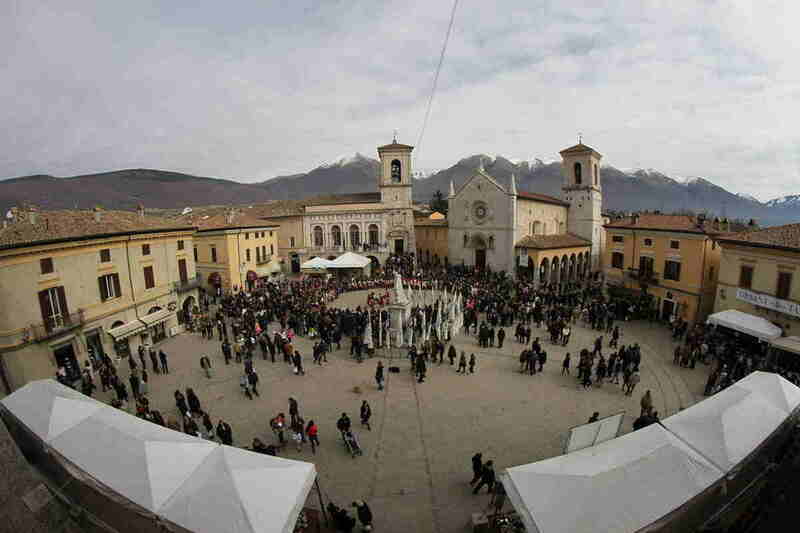 You will participate the Nero di Norcia festival, one of Italy’s most important black truffle markets. As well as stands selling black truffles a number of gastronomic events and demonstrations are held throughout the fair including guided tastings of wines, salamis and cheeses. Accommodation in the apartment of the farmhouse “la volpe e l’uva” in Perugia (40mq, lounge with cooking area and double sofa bed double bedroom and bathroom), included bed linen, towels, final cleaning.